We’ve been juggling several different groups, all involved in radical mental health activism, in thinking about how to go about tabling at the Richmond Zine Fest this year. As Mindful Liberation Project has now split into three different groups, and we now have a distro and small press, it was hard to make a decision about who was going to table. So instead of having several tables and potential difficulty having people at every single one of them the whole day, we’re having one table with the overarching theme of radical mental health in RVA in specific as well as some national stuff, under our distro/press (as all the items we’re selling are already a part of our distro). Questions that we have for you: What would you like to see? We are thinking about maybe having mobile peer support at the zine fest. We are also thinking about having a workshop on peer support facilitation so that people can start their own gatherings for radical mental health mutual aid. Are these things that you would be interested in, as zine fest goers? Let us know at info@mindfulliberation.org or 8048881709. So if you’re looking for anything involving self care or radical mental health, visit our table at the Richmond Zine Fest! This year we will especially have a lot of stuff addressing activist burnout and community/self care on individual, community, city, national, and global levels! 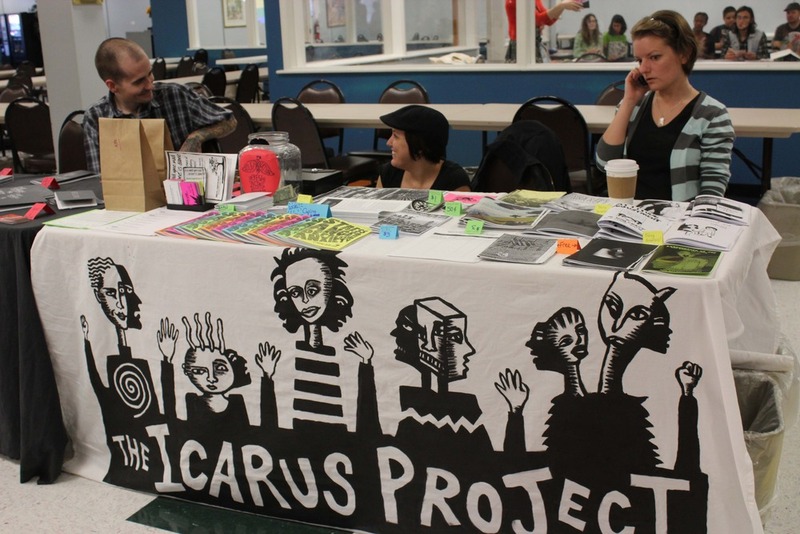 This year’s Richmond Zine Fest will be held October 6, 11 AM until 6 PM, at the Gay Community Center of Richmond located at 1407 Sherwood Ave, Richmond, VA 23220.